(Scott G Winterton | Deseret News, via AP, Pool, File) In this Oct. 15, 2018, file photo, Salt Lake County Mayor Ben McAdams answers a question as he and U.S. Rep. Mia Love participate in a debate in Sandy, Utah, as the two battle for Utah's 4th Congressional District. McAdams declared victory Monday, Nov. 19, 2018, in the tight race, but Love didn’t concede and The Associated Press has not called the race. Ben McAdams’ win is a huge achievement worth celebrating. It broke the stranglehold the NRA has had on Utah's political system. 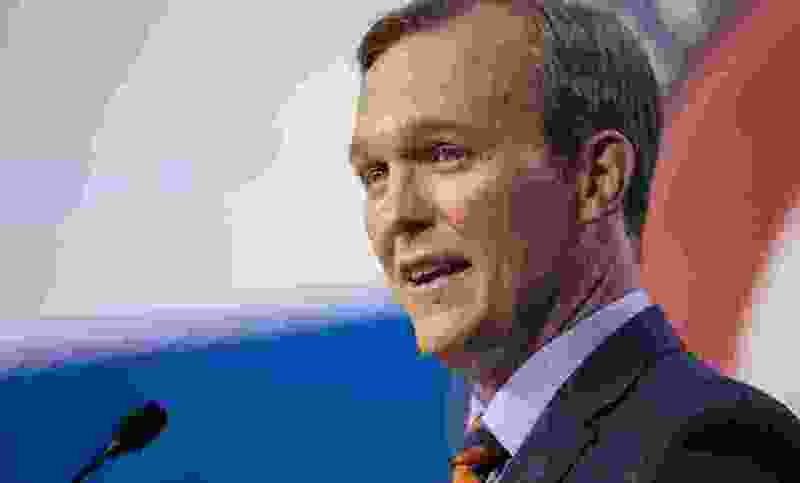 McAdams’ position in favor of modest gun regulations crushed the myth that going against NRA policy was the kiss of death for any federal candidate. And this happened in a radically gerrymandered voting district. Rep. Mia Love was in bed with the NRA and the Koch brothers' PACs. Her defeat proves an honest politician promoting reasonable policies can win against the gun lobby and the Koch cabal of billionaire libertarians who detest any government regulation. Every Republican candidate, except Mitt Romney, received an “A” grade from the NRA, and most accepted NRA money. Many also received money from the Koch machine, which, along with the gun lobby, shows no interest in stopping the epidemic of gun violence nor concern for the safety of you and your children. Current GOP legislators need to be reminded that a huge majority demands a solution. So congratulations, Ben McAdams; you are the light at the end of the tunnel. You took on Goliath and won. That should give the majority of citizens hope and the paid-off politicians pause.